Nuke Pro: Liars, Leakers, and Libs at University Pushes Nuclear Energy, States Fukushima "Was Not Actually Harmful"
Liars, Leakers, and Libs at University Pushes Nuclear Energy, States Fukushima "Was Not Actually Harmful"
Just adding to this story, 2 articles, Rivers in the Fukushima area are rapidly decreaasing in radiation, they have a convenient cleaning mechanism.....flow into the ocean. 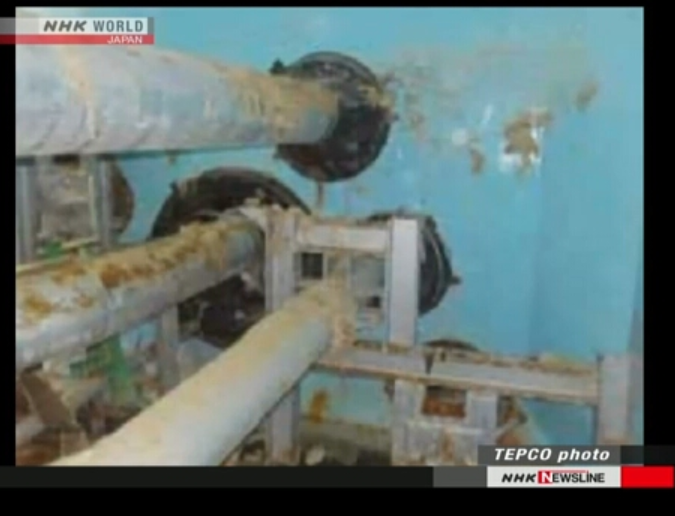 AND storage tanks at Fukushima, presumable holding the ALPS processed waters which would in theory be highly concentrated in radiation, has leaked 600,000 lbs of water over 2 years, and they story is unclear but there may be 2 tanks involved. Hmmmmm.....So they have no program to monitor the tank water level, none at all. Leaks can continue for 2 years until they are noticed. without knowing the radio-isotope concentrations. And you may recall, back in the day when they were building these, they were only rated for a very short life span as temporary storage tanks assembled by the Yakuza and the homeless, about 2 years expected life. We are going on year eight, and where the heck are the Coriums TEPCO? NHK provides some detail, on Tritium. Holy Hell, it's reported as 120,000 Bq/liter! So it is probably 2 times higher, or 10 times higher, per the "Order of Magnitude" lies that TEPCO used consistently in the early stages of the Debacle. And sadly, just today the NRC votes to further gut the flood and EQ safety measures that Jackzo and the post Fukushima Safety Upgrade Study recommended. Bill Gates, the Globalist, is also pushing nuclear power, and partnering with China. Wow. And without further ado, this is the story on the decrease in CS137 in the Ukedogawa Kawa and Otagawa Kawa. Not as dramatic as the title sounds, measurements went from .2 Bq.Liter to .1 Bq/Liter. so how is it that NONE of the 'liberal' universities ever sent ANY faculty to Fukushima to inspect the "harmless" site? ?